In this article in my “Ten Years a CCIE” series, I describe my experience going to work at Cisco as a CCIE. Unlike many Cisco-employed CCIE’s, I earned my certification outside of Cisco. At that time, the most popular forum for aspiring CCIE’s was an email distribution list called groupstudy.com. I had been a subscriber to this mailing list, but prior to passing my exam, I didn’t feel adequate to post anything there. However, once I passed, I began posting regularly, beginning with a summary of my test preparation process. One day I got an email from a mysterious CCIE who told me that I sounded like I knew what I was talking about, asking me if I wanted to interview for a job. I thought his name and number sounded familiar, and when I got home I confirm my suspicions by digging through my bookshelf. He was the author of one of my books about Catalyst Quality of Service. It turns out he was a manager at Cisco High Touch Technical Support, a group of TAC engineers who specialized in high profile customers. I scheduled an interview right away. This interview was by far the most difficult I’ve had in my career. They brought me into a room with four CCIE’s, two of them double, all of them sharp. Each one of them had a different specialty. One of them was a security guy, another one was an expert on multicast, another was an expert on switching. When it came to Kumar, the voice guy, I figured I was scot-free. After all, I didn’t claim to know anything about voice over IP. Kumar looked over my resume, and then he looked up at me. “I see you have ISDN on your resume,” Kumar said. And then he began to grill me on ISDN. Darn, I should have thought of that! Thankfully, I was well prepared. Despite one or two mistakes in the interview, I got hired on and began my new job as a customer support engineer at HTTS. My first few months were in a group called ESO, which supported large enterprises and was very focused on Catalyst switching. I won’t go into the details of the job here, but you can see my many TAC tales if you are interested. 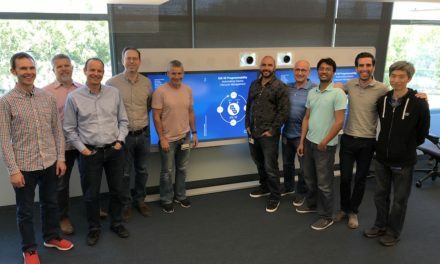 One thing I quickly noticed when I got to Cisco was that a lot of the people in my department had a nickel-sized purple dot on their ID badges and cubicle nameplates. I found out that these purple dots were actually stickers with the CCIE logo. Cisco employees who had their CCIE’s stuck these purple dots on their badges and nameplates to show it off. Many of the CCIE’s who had passed multiple exams actually placed multiple dots on their badges and nameplates. I wanted one quite badly. The problem was, sheets of these purple stickers were sent out only to the early CCIE’s, and by the time I had passed, Cisco was no longer providing the sheets of stickers. I suppose I could’ve had some printed out, but I asked around looking for a CCIE who was generous to give me one of his dots. They were in scarce supply, however, and nobody was willing to part with one. It was just another way newer CCIE’s were getting jipped. Even though the exam had now switched to the one day format, you still didn’t meet too many CCIE’s outside of Cisco. 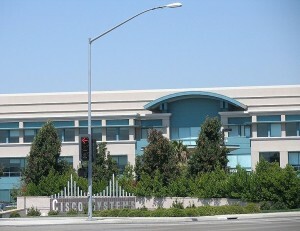 It was thus quite a shock when I went to Cisco and saw purple dots everywhere. It seemed like fully half of the people I was working with in my new job has CCIE’s. And many of them had low numbers, in the 2000’s and even in the 1000’s. I was quite relieved to find that they all treated me with total respect; nobody ever challenged me on account of my one-day CCIE. Still, I always had (and always will have) a great deal of respect for those people who passed the test when it was a two day test, and the cottage industry devoted to minting CCIE’s had not yet come into existence. Customers were another story. I remember one BGP case in particular. I looked at the customer’s configuration and immediately realized that it was a simple matter of misconfiguration. I fired it up in my lab reproduced his configuration and proved to him that it was indeed a configuration error on his part. I wrote it all up in an email and proudly signed it with my CCIE number. Within a half an hour I got a call from the customer and one of his colleagues on the line. They proceeded to grill me rapidly on BGP asking me all sorts of questions that weren’t relevant to their case and stumping me several times. At that point I realized that when many people see you are a CCIE, they take it as a challenge. In some cases they failed the test themselves, or else they’ve met stupid CCIE’s in the past and they feel themselves to be on a mission to discredit all CCIE’s. After that episode, I removed my CCIE number from my email signature. I gained a feeling of self-importance after I passed my exam, but working among so many people with the same certification, and dealing with such intelligent customers, I realized that the CCIE didn’t always carry the prestige I thought it did. The mystique diminished even further. Incidentally, I became friends with all of the guys who interviewed me, and I was on the interview team myself during my tenure at Cisco. One extremely sharp CCIE we hired told me our interview was so tough he had to “hit the bottle” afterwards. It was considered a rite of passage at TAC to go through a tough interview, but I have gotten a lot nicer in my interview style now, having been on the receiving end of a few grillings. One of the later posts in this series will examine the question of the value of a CCIE certification. After all, this is one of the most common questions I see in forums dedicated to certification. However, my experience getting hired into Cisco (the first time) has some lessons. The immediate reason I got hired was because of my experience and willingness to go out of my way helping others to get their CCIE on Groupstudy. However, I would not have gotten the position without a CCIE, so clearly it proved its value there. 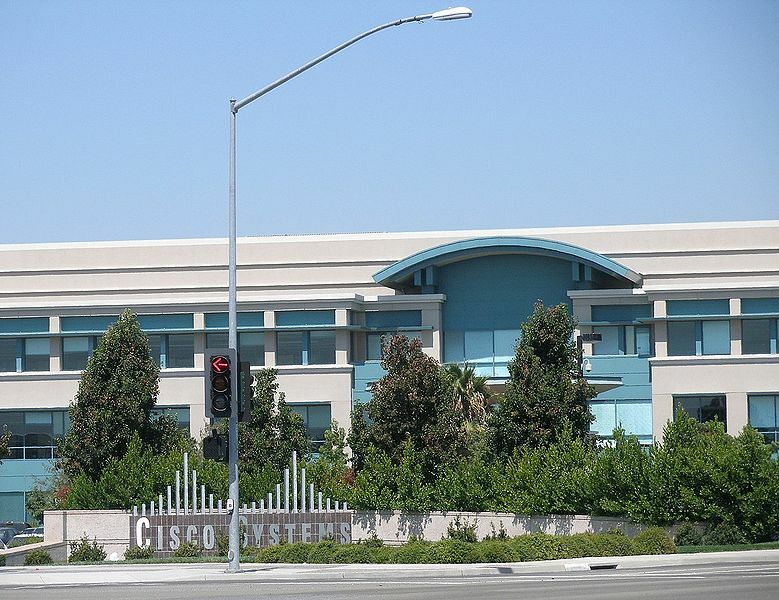 Once you are at Cisco, although people commonly display their stickers and plaques, having a CCIE certification will not necessarily distinguish you. There are many CCIE’s who have made a bad impression on others, whether they are only book-knowledgeable, or even cheaters. Often people challenge you when you have a CCIE, instead of respecting you. In the next article in the series, Multiple CCIEs, Multiple Attempts, I describe passing the CCIE Security exam. I talk about my experience suffering the agony of defeat for the first time, and how I eventually conquered that test. Thank you for sharing your story, Jeff, was really interesting to read. Thanks, at least I know someone is reading it! Hey ….first of all thank you so much for writing such great posts…..
i also wants same thing as you have described in your posts. Thanks again for writing such Great Post ….Hope for More TAC cases & posts….